US servicemen, from left to right, Cpl. Javier Rivera, Pfc. William Parker and Staff Sgt. 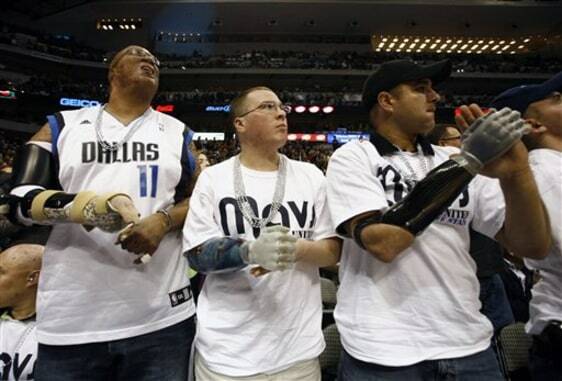 Leroy Petry watch the Dallas Mavericks against the Charlotte Bobcats NBA basketball game from the front row on "Seats For Soldiers" night on in Dallas.